Now these are by no account the prettiest things I've ever baked but they were super delicious and fairly simple. Put the sugar and butter into a bowl and cream together until light and fluffy. Add the eggs into the butter and sugar adding a tbsp of flour to stop the mixture from curdling. Sieve in the flour and spices and fold into the liquid mixture with a metal spoon. 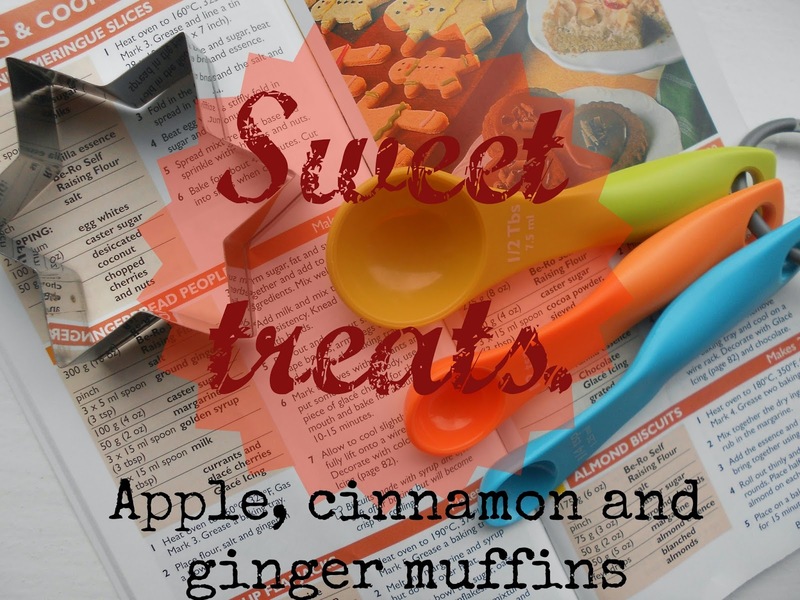 Coat the apple in a dusting of flour so that they don't drop to the bottom of the muffins and fold evenly into the mixture. Fill the muffin cases and put into a pre-heated oven at 180 degrees celsius or Gas mark 6 for 15 to 20 minutes. Once baked remove from the oven and leave to cool for an hour or two. Make the icing by the packet instructions and add the spices. Spread over the cakes. I really apologise for the single photo but by the time I realised all the others were blurry they were long gone! I actually think they look absolutely delicious! Reading the recipe had my mouth watering, so excuse me while I will go and make them right now.